​​It wasn’t until I fully understood and embraced Network Marketing that I was able to promote it as Spiritual Abundance Marketing, a true wellness ministry! ​I know now, this is why God waited to share this vision with me. He wanted to be sure I was mature enough in these areas of my life, so I could venture out and fulfill His mission to "feed people”. Spiritual Abundance Marketing is a Divinely inspired business model in which you are 100% committed to the betterment of others! 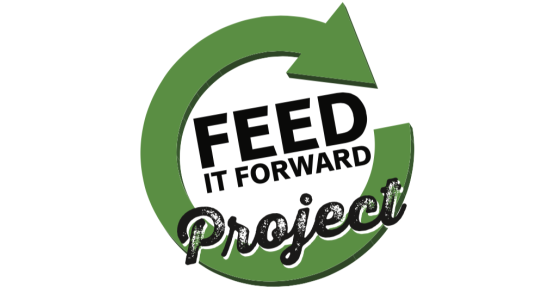 With “Project Feed it Forward” you co-create to “feed people" and are blessed with the opportunity to enhance the physical, financial and spiritual wellness of everyone involved. True success is in knowing God and living into His mission for your life, loving all souls as your brothers and sisters and seeing their needs. Satisfaction comes from opening your arms, embracing and including others, so change can happen. In this way you serve the world at large. If you’re like me, you believe we want to be part of something bigger, something better, something Godly inspired. You want to feel as if you are making a difference. You need to understand the impact you can have when you lock arms and move forward with others who are committed to doing His good work. Then you will feel and know that He is guiding your path as you accomplish what He has put in your heart.…..when you do your job, God does His. This is truly a life of service - a ministry. Spiritual Abundance Marketing gives you the freedom to faithfully help others on many levels. By it's simplistic nature, success comes from creating disciples, lifting others and doing good in the world. ​As we build a network of givers, we are lifted spiritually and we are Divinely compensated. This business model is designed where everyone can be blessed. We are moving away from the mindset that creating wealth is greedy or selfish. We understand that poor people cannot help people. We need to create wealth and abundance to further help others and fuel this cycle of giving. Moreover, our abundance is the world’s abundance, as we instill and ignite faith and hope in others. God gives us dreams so we can grow into the person He designed us to be. Through our giving we can make a living and truly create abundance. Let’s strive to make our life work our ministry. “Project Feed it Forward” was a God-idea with a God sized vision to impact hunger on many levels. We have a proven vehicle that fuels the cycle of giving, while making a difference in the lives we touch. This is a spiritual pathway that God provided. ​"[Donating] is a way for you to make a visible impact in your community." ​"You are feeding my body, but you are also feeding my spirit." "You’re giving us hope. We may come for food, but we leave with hope." "I feel a part of something special." "I come to the pantries for food but I also receive love and support to help me go on." “Thank you for the generous help with food for our family during these difficult times, when money isn’t sufficient and there are many obligations. We are very grateful for all the people that make this help possible." "I used to be the one to give, but now I have to receive"
"At first I was ashamed to have to come here, but now I’m extremely grateful."